A global view of aging shows that women age somewhat differently than men (Cattell, 1995). Although there are slightly more males born than females in most populations, almost universally it is the latter gender which on average survives the longest. At age 15, women in the United States have a life expectancy eight years greater than men, and when they reach age 65 they can expect to survive four more years than their male counterparts. For Third World nations, there is typically about half this difference in life expectancies. Here, for those over age 60 the gender ratio is relatively close, about 90 men for every 100 women, contrasted to a full 20% fewer males still alive than females in more developed nations. 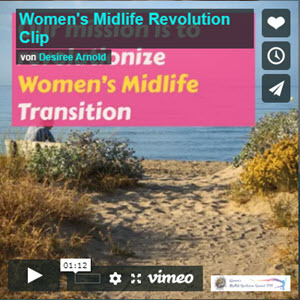 Various writers have noted that for women, the fourth and fifth decades of life, in its association with menopause, often provide a key turning point in both the biological and social worlds of females and may mark the beginning of a label of old. Cross-cultural work in this area has shown the need for sophisticated research that takes a bio-cultural approach to this issue (du Toit, 1990; Flint & Samil, 1990; Kaufert & Lock, 1992; Lock, 1993). The complex interplay of biology, nutrition, and culture in shaping women's experience of menopause is analyzed by Yewoubdar Beyene's in From Menarche to Menopause: Reproductive Lives of Peasant Women in Two Cultures (1989). She compares Mayan and Greek women living in rural villages and finds that their experience of menopause and aging strongly differed, despite similar values and behaviors regarding menstruation and childbearing. Greek women had a substantial, well-balanced diet, married late, and averaged only two pregnancies. Here, menopause was associated with growing old and the start of a "downhill course in life." A strong majority reported hot flash or cold sweat symptoms. The Mayan women, in contrast, consumed a much poorer inconsistent diet, married early, and had many closely spaced pregnancies. Females here looked foward to aging citing anticipated new freedoms and social passage to higher status in old age. 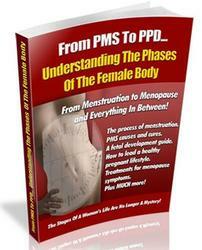 She found that none of these women reported symptoms of hot flashes or cold sweats and they welcomed menopause. In terms of social transformation many authors have begun to document a common pattern in non-industrial societies of dramatic positive changes of role, power, and status by women as they pass into the middle and latter adult years (Brown, Subbaiah, & Therese, 1994; Kerns & Brown, 1992). Gutmann (1987) has suggested that universal intrapsychic personality development best explains the frequent reversals observed among older adult women, while other theorists have stressed the cultural turning points linked to procreative and family cycles. For example, Rasmussen in studying the Tuareg in Africa argues that female androgyny in late adulthood is not simply being more male but part of expressing transformations of female personhood through time, involving realignment of kin hierarchies and other social strata affecting both males and females (Rasmussen, 1987, p. 29).